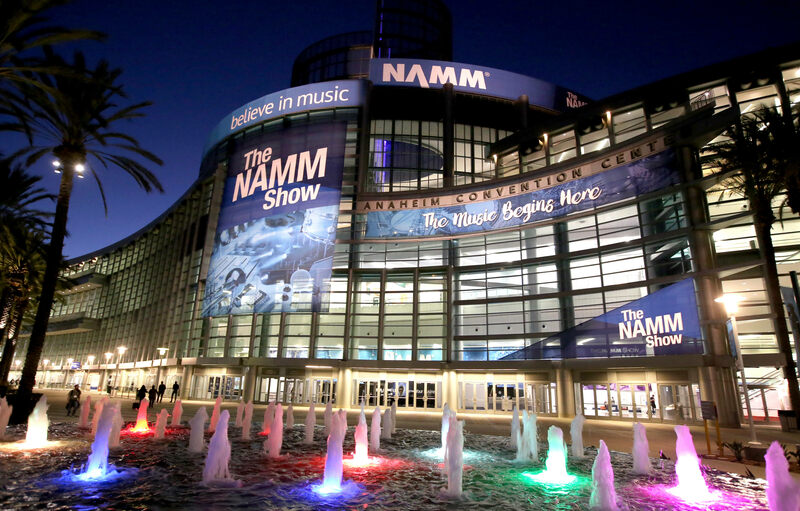 The NAMM Show this year was spectacular and exhaustive as usual. 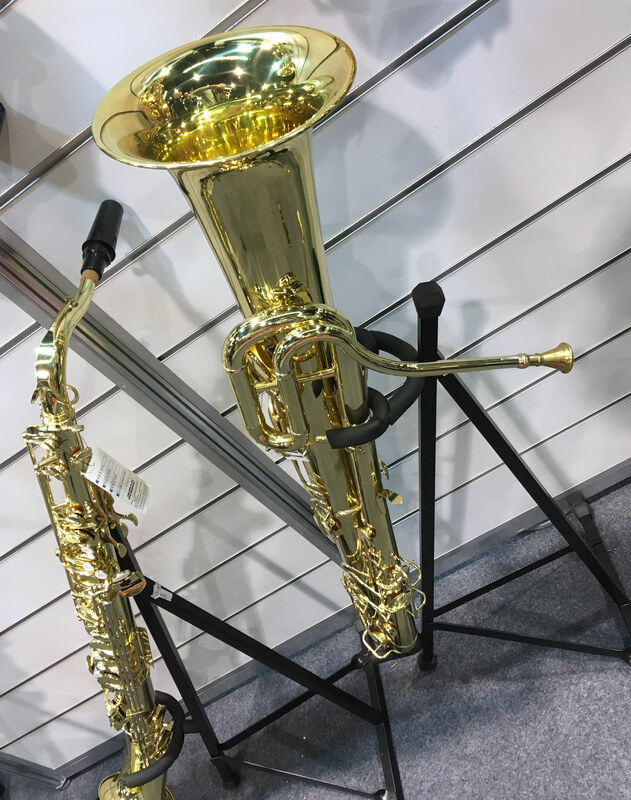 A generally bewildering array of everything you can imagine including the very strange interspecies mating of a wind and brass instrument as seen below. 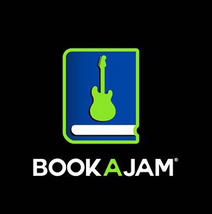 BOOKAJAM is an app-based service that follows the Uber-model as applied to rehearsal/recording space. The idea is that people can turn their extra space into cash by renting it out to local bands and musicians. The renter registers through the app and sets their price and schedule of availability. The renter can search availability in their area and book it through the free app. Although any raw space with electricity could work, the renter could entice more business and increase the price if the space has recording capabilities — PA, mics, drums, etc. “BookAJam takes a 12% flat fee of each transaction. Stripe (third party payment processing) takes 2.9% plus a 30¢ flat fee for each transaction.” Currently, there are just a handful of people signed up, but the idea could take off and may be especially attractive to fledgling audio engineers looking to make some money and get some experience with their project studios. 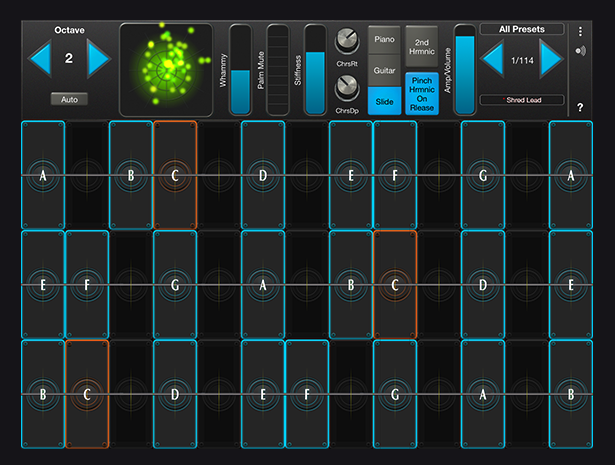 GeoShred Pro is an iOS instrument that exploits the 3D touch capabilities on an iPad or iPhone. It uses physical modeling synthesis to create some amazing string-based sounds with an interface that is extremely playable and intuitive. It supports world scales and temperaments with a recently added sympathetic string resonator for Indian-flavored sounds and colors. There is a full-blown modeled guitar and effects chain and a slew of presets to start with. It is also a full-featured MIDI (MPE – Midi Polyphonic Expression) controller or it can be controlled via other MIDI devices and used as a sound source. It supports Wi-Fi, Bluetooth, virtual MIDI and all digital interfaces. As a vocal advocate of iOS music production (read past articles here and here), I would definitely add GeoShred to my list of must-have apps! This thing sounds great and is truly fun to play! Check out some videos with Jordan Rudesss from Dream Theater, who was also present at the NAMM show. The Morph by Sensel is a chameleon-like control surface with rubberized swappable overlays that make it highly versatile and multifunctional. It can be a QWERTY keyboard, MIDI keyboard, drum pad, gaming pad, drawing pad, music production control pad, among other things. The surface has a very wide range of sensitivity (2g to 5 kg of force) making it suitable for stick drumming as well as finger playing. The pressure sensitivity goes well beyond the current capabilities of iOS devices and applications in the visual realm are equally impressive. There is a [sensel] object for Max/MSP and the device can be connected wirelessly via Bluetooth or wired via USB to any computer, phone or tablet. The product felt durable and road-ready, and I can envision the array of overlays expanding with customer demand. SM MORPH by Skein Modular is a fascinating modular case system that is yes, modular in design. Made from incredibly durable high-density plastic, these cases look and feel like they can take a beating. 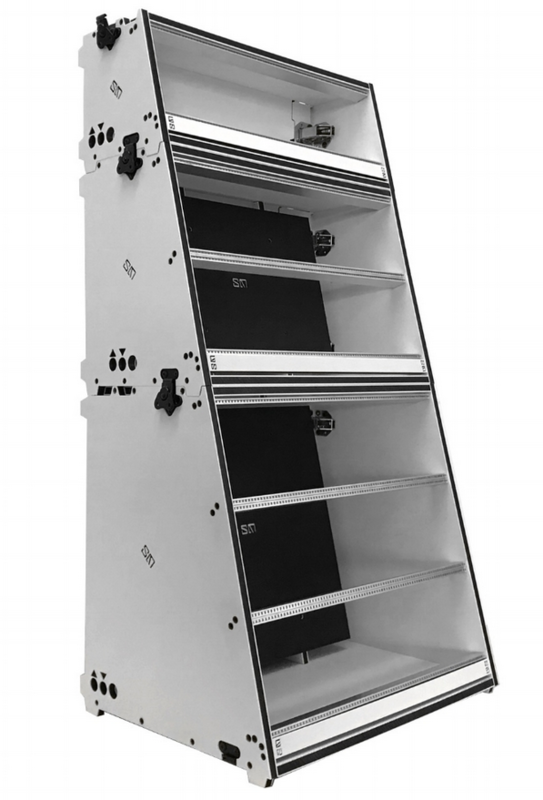 The cases are designed around various enclosures that can be stacked and configured in myriad ways based on your needs. They come in 84HP widths with threaded rails with or without power. 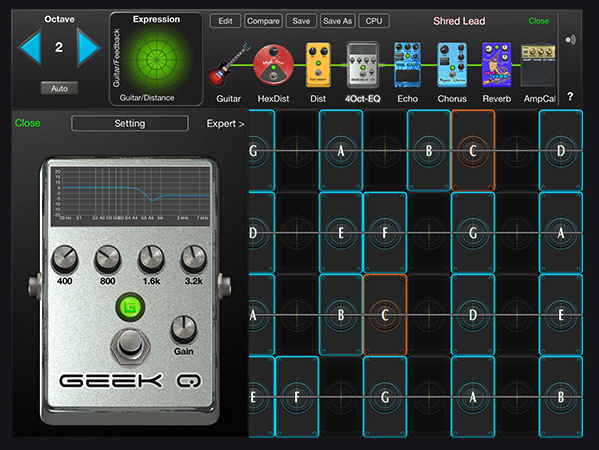 Vector Sequencer by Five12 is the debut module from the creators of Numerology application. This long-awaited hardware sequencer from developer Jim Coker has been seen at NAMM 2017, Knobcon 2017 and most recently this month at NAMM 2018. Having known Jim since my days in Santa Fe (circa 2007-10), I can attest to his extreme attention to detail and fastidious design ethic. While these qualities might make him a liability to some larger companies looking to release product by prescribed deadlines, Jim feels no such constraint and is willing to make the necessary tweaks without compromise. Good things may be worth waiting for after all. Details form the developer here. The final product will be priced around $800 and will feature an advanced 8 channel sequencer with a full feature set comparable to that found in Numerology. Expansion modules are also under development. Release TBA (really — he means it this time). 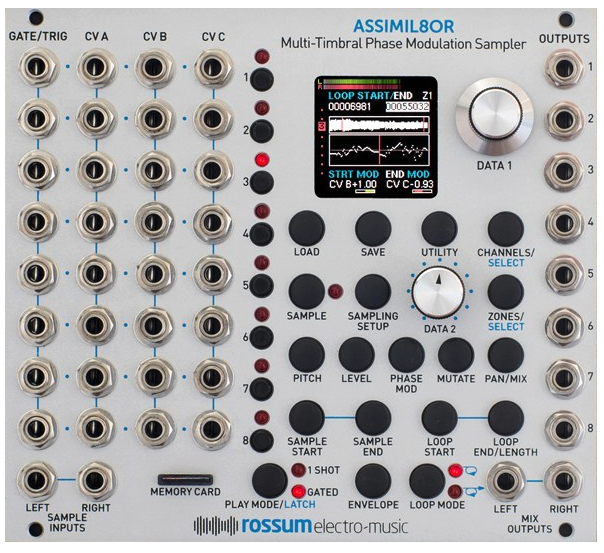 The Assimil8tor by Rossum Electro-Music is a new Multi-Timbral Phase Modulation Sampler designed by Dave Rossum, the analog circuit-designing icon who graciously contributed to my article, “Analog, Tubes, Vinyl and the Future of Retro” posted back in August on The Pro Audio Files. 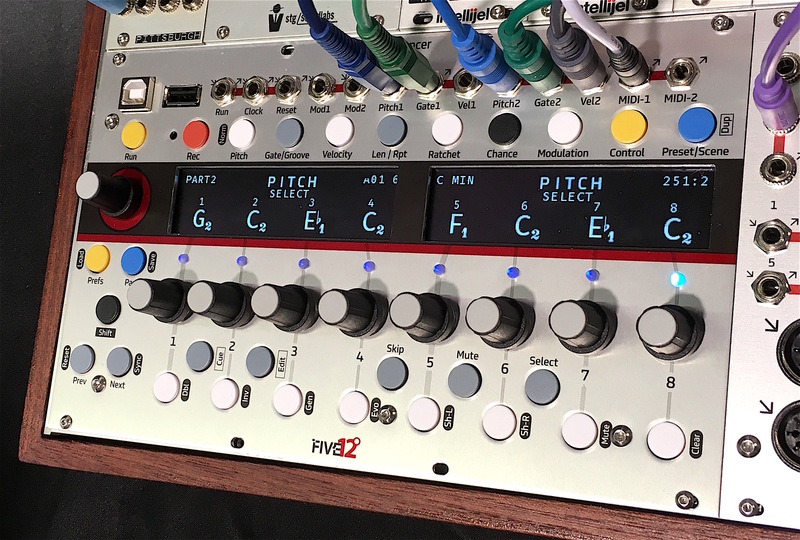 The aptly named module boasts “eight independent channels of sampling with sound quality that can range from extremely hi-fi to low-fi, all with extensive real-time CV control.” Input voltage control pitch, level, bit depth, phase modulation, pan, scrub, sample start and length, loop start and length, and release time. This thing sounds great and the sheer number CV input and audio output possibilities is astounding. A release is expected in March 2018. Orange Vocoder 4 by Zynaptiq is the newest version of this plugin from the developer of Adaptiverb, the unique reverb effect I wrote about last August. The Orange Vocoder is based on the classic effect developed by Prosoniq in the 90’s. Zynaptiq acquired Prosoniq several years ago and has been bringing back some of their vintage effects. This vocoder is unique in its implementation of 22 algorithms which can be previewed on the fly by simply hovering over the preset icon with your mouse. 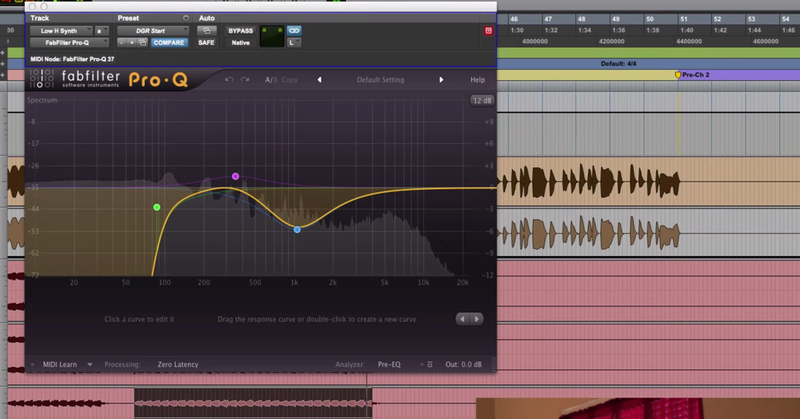 The plugin has all the elegance of the other Zynapiq effects in terms of interface design and playability. A release date is scheduled for later this year. Watch a video demo from the show here. 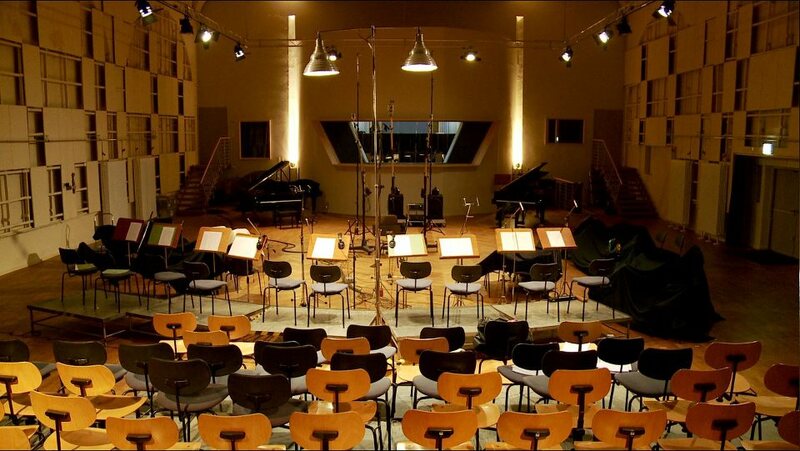 The Berlin Series from Orchestral Tools is a high-quality set of orchestral sample libraries recorded at the Teldex Scoring Stage with some of Berlin’s finest session musicians. This Kontakt-based library sounds brilliant and offers a unique set of playable features. The legato sound found in many libraries is often the articulation that first undermines the suspension of disbelief in terms of real versus sampled sounds. Orchestral Tools’ Adaptive Legato Engine “detects your playing speed in real time and perfectly adjusts all variables” to your performance for a fluid and realistic legato. Other innovations like Runs Builder and Playable Glissandi have set Orchestral Tools apart from the competition. Presented alongside Orchestral Tools was Scoring Berlin, a related music production service company that organizes recording sessions on the Teldex Scoring Stage as well, which is nice if you’re looking to augment sampled sounds with live sounds recorded in the identical space. Packages include various levels of accommodation from small chamber groups to full orchestra and services can include arranging and orchestration, music preparation, conducting, recording, mixing and mastering with prices ranging from 4,500 Euros (about $5590) for 55 minutes as part of a shared session to a 3 hour session with full orchestra for 17,793 Euros ($22,103) and up from there.